LITERALLY HYDROGEN AND ENERGY for ENERGY INDEPENDENCE. Especially Volume 3 & 4 Below. You told us you wanted this, WE GOT IT. This IS IT. See the " Hydrogen Manufacture Book .... " below. If you work for GE, DaimlerChrsyler, GM, Ford, Toyota, Ballard, Praxair, NASA or anyone working seriously in the hydrogen research and development field, then you want this book. 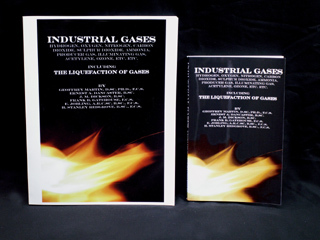 To round out your knowledge you'll also want the Industrial Hydrogen book. The other books are for 'people' and not companies. * the most detailed hands on-do it now- with simple tools and contraction- operation of your car by hydrogen from free biomass. Step by step, photo by photo, drawings, measurements, its all there. You will LITERALLY be able to make a unit that will run on free waste and power your house. NO JOKE. 100% Guarantee. See "Volume 3" below. * Photos and photos and photos with details of running vehicles on hydrogen derived from free biomass. Fuel for cheap and drive drive drive. See "Volume 1" below. 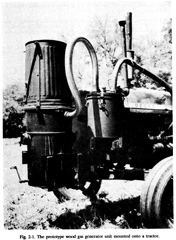 * The old old ways of doing it in Australia with nothing but hydrogen dominate gas from charcoal and how to make it. This book stands on its own, not as good as #3 & #4 together but it provides additional information on the subject not in all the other books. 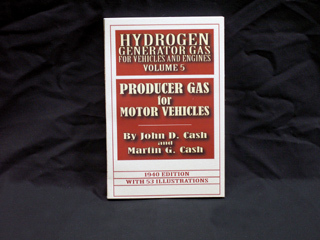 This book includes parts on how to make the gas even more hydrogen rich by the addition of water. When *WAS* the Hydrogen Revolution? OVER 1 MILLION vehicles have used this method of hydrogen fueling. 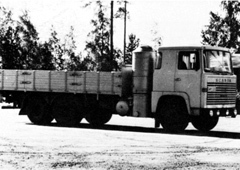 Several vehicles even made across the USA trips to demonstrate that it could be done. You will see the vehicles and how they did it. Even a motorcycle that runs on the same method. 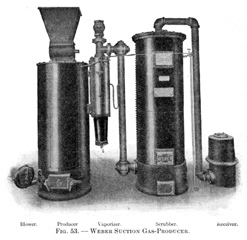 The Hydrogen Revolution Happened Over 100 YEARS AGO and went to about 60 years ago. This is ALL SCIENCE. This is all REAL. This is all stuff people can do. This can all be done easier today than it was 100 years ago. 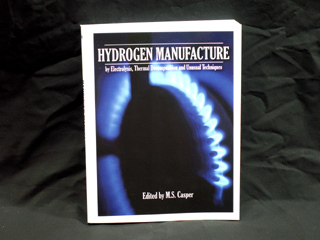 This compilation also includes some of the best professional reference material available on the subject of Hydrogen. 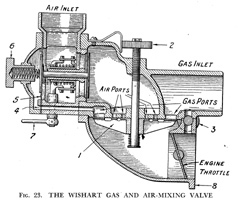 There is NO FINER collection of books on the automobiles and engines and other methods of producing hydrogen and running vehicles than you'll find on this page. We have combined the best of the OLD from 100 to 60 years ago to the BEST OF THE NEW that is currently available. notes, circles, dashes, dots and highlights on sections you feel are important. For the FIRST 50 CUSTOMERS ONLY get the larger classroom edition of the books above in this package. Listen; it can take DAYS to write the detailed ads we have on www.knowledgepublications.com for the books. of the books, there is SO MUCH more in them...and eventually we'll get all the data on the website, but then we'll be sold out of the books, but more are always in production. 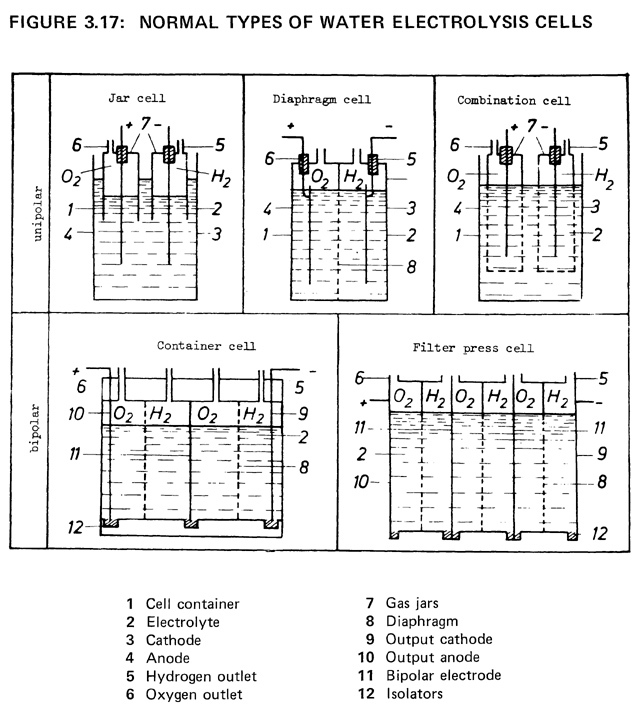 Hydrogen Manufacture by Electrolysis, Thermal Decomposition and other Unusual Methods. 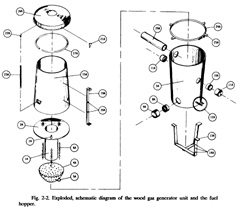 Hydrogen Manufacture by Electrolysis, Thermal Decomposition and other Unusual Methods. a.k.a "The $500 Book." Full 8.5x11" book. 362 Pages, $49.95 and worth every penny. Scroll to end to Purchase - Package Deal only. This is the KING of hydrogen books. This book is the most comprehensive, detailed book on EVERY SINGLE method of hydrogen production through history including all of the modern methods of production. From metal and water to electrolysis up to and evening including production of hydrogen from water by radiation in a nuclear reactor. I am not kidding. I searched the entire English speaking world for 5 months to find ONE copy of this book I could buy. Not even the original publisher had it. I finally, finally got an email alert that ONE copy came into existence on the market. ONE in 5 months ! We paid over $500 for the book. ONE BOOK!. Then KnoweldgePublications.com obtained the EXCLUSIVE World Wide Production and Distribution rights for the copyrighted work from the original publisher. This is it, you are only getting this book from KnowledgePublications.com NO place else in the world has it. We have it in print and we are going to continue to have this book in print. If you see it on Amazon or on the web, it came from us. So you might as well buy it from us... or wait for another $500+ copy to come on the market. The book is digitally remastered by our professional graphic artist and we enlarged and enhanced the book from its smaller size to a full 8.5x11 size because we knew this book was so important. It also has a lot of small print and graphics in it and the larger size makes it much easier to cozy up with next to your love, a tabby and a warm fire. The table of contents for this book is over 4 pages long, and in small print... this is just a brief overview. In OTHER books below, stuff you can do with your hands to make hydrogen NOW, a fair amount of it is called PARTIAL OXIDATION ( POX ). Where as the other books below ( volumes 1 to 5) show you how to do it, and they have the chemistry in very good detail, this book has the chemistry in explicit detail, with every variation. This book does not show how to build the POX units, but it gives the full mathematics behind it for someone who wanted to commercially design, engineer and produce such a unit. The Steam and Iron process is an old one, but good one. 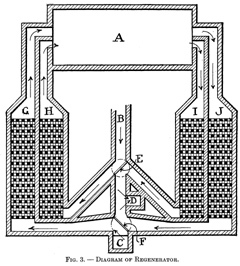 Petroleum companies STILL use this process today to make very pure hydrogen from steel and water. What they do is they have a HUGE tower ( or you can make a 4 foot one) and it is filled with iron balls. They fire natural gas into it and get the whole thing real hot, beyond red hot. Then they inject steam at over 1000F into the tower. The steam reacts with the iron. The iron grabs the oxygen off the water molecule and forms one of the variants of iron oxide ( rust ) and pure hydrogen is left. ( or...as you can see above.. the exact purity.) Since a Steam Reformation of Iron is an ENDOTHERMIC ( takes heat) reaction, the balls cool down and the reaction stops. Then the natural gas is fired up again to heat up the iron balls again. 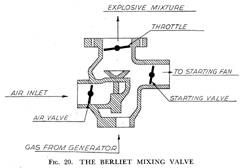 At the same time it is fired with a reducing flame rather than an oxidizing flame and the small amount of iron oxide that was produced on the surface of the balls is reduced from iron oxide back to iron, and then the cycle of injecting the steam is repeated. 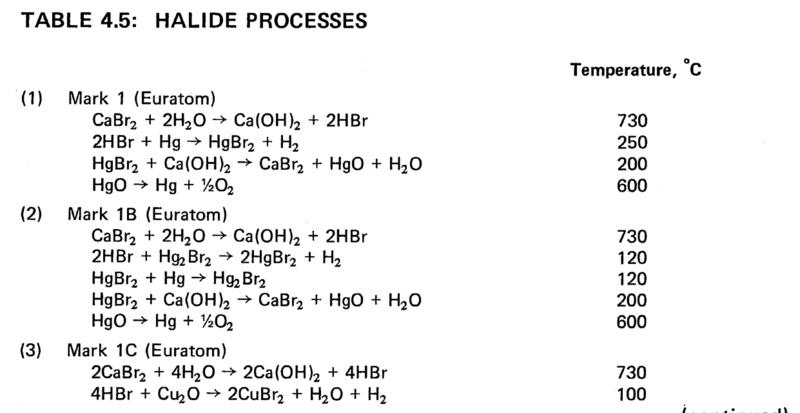 This, and every other flavor of metal water reaction ( see below) is covered in explicit detail in the book. This is PH.D level research stuff, but I guarantee you the average Joe can not only understand from it but you can learn from the stuff you do not understand. How can you learn unless you have something that you did not know or did not understand. 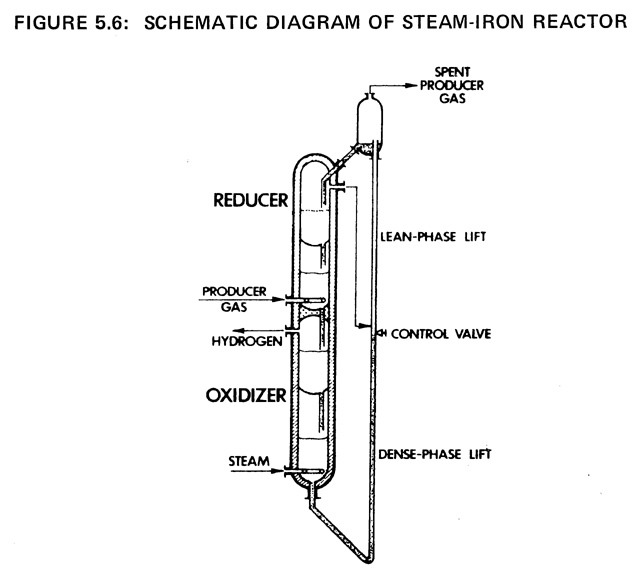 Here is what the reactor might look like.... this can be 200 feet tall or 4 feet tall. A HUGE HUGE part of this book is every variant and form of electrolysis you can imagine. Not many books are going to have this graph in it let alone all of the other graphs that are even more detailed. Do ya know what this means? 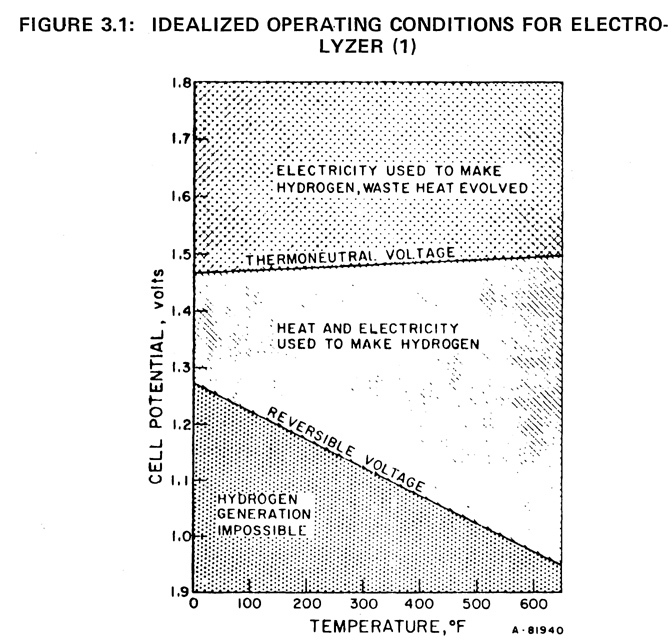 Well then I suggest you get the book because you will understand how this affects your electrolyzer design...and that makes you smarter than the guy who does not know this. Look... there are no 'hydrogen education' classes in College. You have to learn this stuff yourself. Electrolysis is covered in high school chemistry, and college level chemistry and you are going to have to look hard in the advanced chemistry section of college to find specific classes on ElectroChemistry and even harder to find Industrial Electrical Chemistry. Which... we'll publish books for you soon. 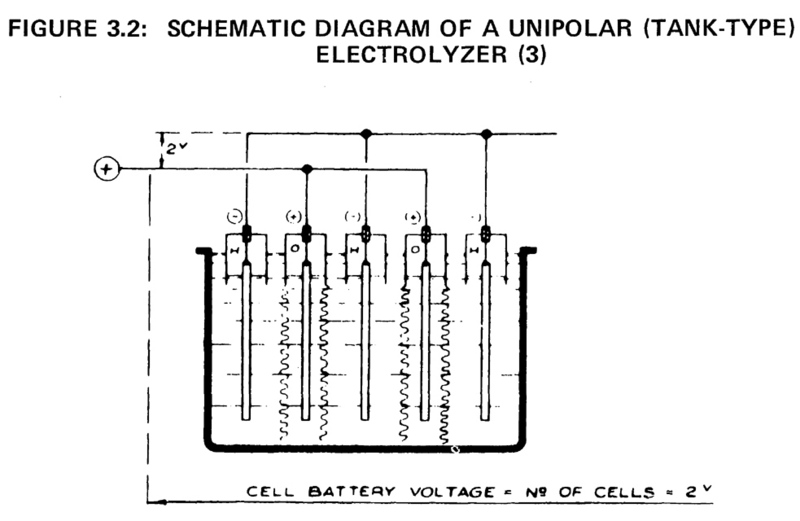 The book is LOADED with diagrams of electrolyzers. HA !! Thinking of buying a $20,000 electrolyzer?? What is the difference between them? 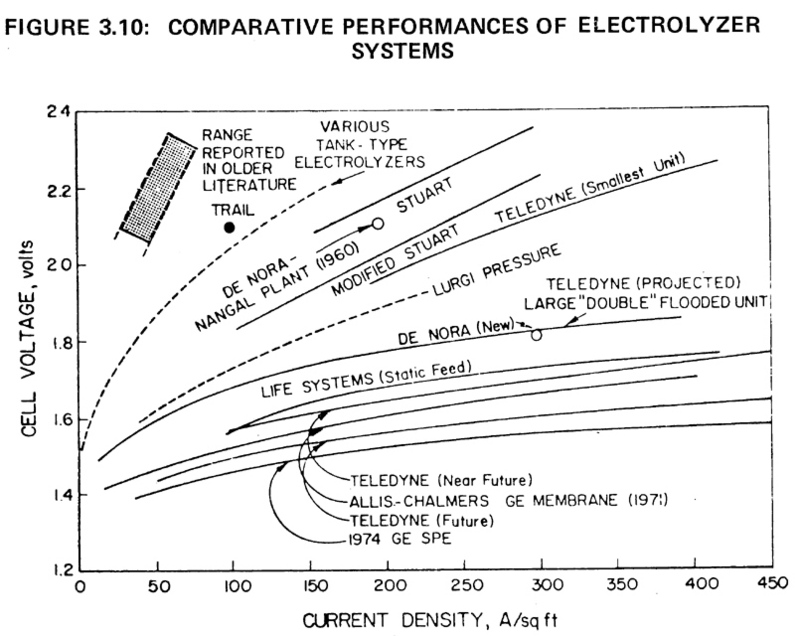 Do you think your electrolyzer sales guy will know what his ratio is between cell voltage and current density? If he does not... keep shopping. But with this book you'll know HOW VERY important it is. If you are wondering, you want to have as LOW of a voltage as possible and as HIGH of a current density as possible. So down and to the right is good. Up an to the left is not good. Look at figure 3.1 and then this one, figure 3.10 and you might know why I put THESE TWO in the ad. Oh...the absolute bunk junk that idiots try to sell you to put under the hood of your car would be a 12 on the left ( top of the graph here is 2.4 ) with a current density on the bottom of about 5. Not 50. 5. Where as 1.5 on the left and about 400 on the bottom would be incredible. They are off the chart BAAAAAAD. unipolar, stacked, press, compressed... you name it. If you love electrolysis.. you'll love this book. The Chemical Cycles. *REAL* Hydrogen Production. BO and chemical A. So now you got your expensive chemical A back. All of it. oxygen. Which you can put in a fuel cell, liquefy and sell or just do funny things with. Now you can put A with H2O and start the cycle all over again and get more Hydrogen. 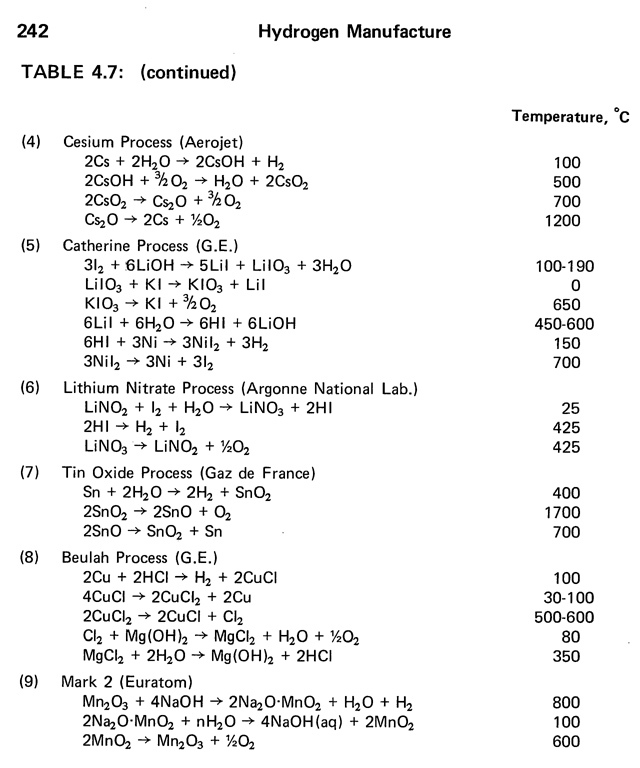 the other dozens of tables with all of the other methods in the book. that I have ever seen in my life. 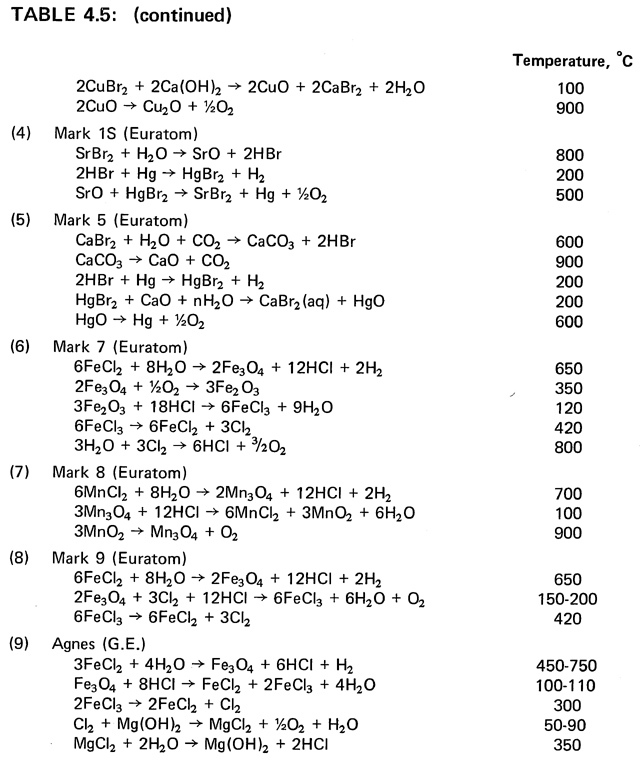 See the formula above for the Tin / Tin Oxide Oxidation and Reduction for the Production of Hydrogen and Oxygen from Water? No?? You don't see it. Its there. You better go get the DOE Fundamentals Book - Chemistry at www.KnowledgePublications.com Its less than $20 and its a great, great chemistry book. What... you see it.. you understand it but you are crying that part of the reaction runs at 1700C ?? Well you better get the DOE Fundamentals Book - Material Science. Its under $20 too! 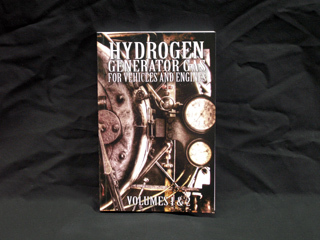 Hydrogen Generator Gas for Vehicles and Engines Volume 1 is the best picture book of hydrogen generators for automobiles we have seen. It has more black and white photos of actual vehicles that have driven across the country, been modified, used for hauling, trucking and real work around the world then all of the other photos in all of the other books combined. Where as it does a decent job of explaining the conversion process, such that a good person could do it, it is NO WHERE in the level of the explicit detail that is in Volumes 3 &4. Do not discount this book, it is very good and has excellent visualization. I'm just being upfront with you on the advantages and disadvantages of this volume. See that motor cycle - and the 'fire extinguisher' case on the back of it, that is the hydrogen gasifier that moves it down the road 60 miles per hour. It goes 20 miles on ONE POUND of wood chips. Yes, true, the number is accurate. The truck you see went over 115,000 MILES with a hydrogen biomass gasifier supplementing its diesel fuel before it went back to straight diesel fuel. In a 'gas' engine you run on all producer gas, in a diesel the engine gets an 'idle feed' of diesel and the gas is used for the power. So you save 6 to 8 times the diesel fuel. 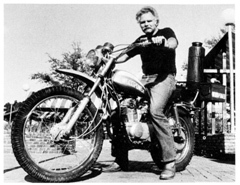 NOTE: KnowledgePublications.com *WILL* be selling minibikes and motorcycles with gasifier installed and ready to go and we'll ship them around the world. We will also be selling electrical generators running on the same method. 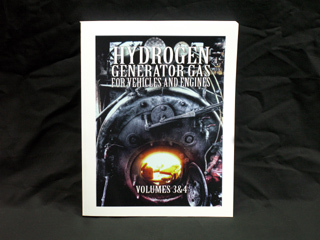 Hydrogen Generator Gas for Vehicles and Engines Volume TWO. Volume 1 and volume 2 are together because they compliment each other so beautifully. Volume 1 is all about photos and volume 2 is all line drawings. There is a beauty and a simplicity to BW line drawings. When ever I have to communicate a hard subject to an audience that is not well versed in the subject, I do it all in black and white line drawings. This is a simple book that would allow you to 100% convert a vehicle. It is still not as detailed as Volume 3 and 4 together, but it is excellent. 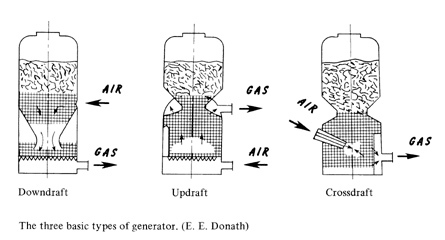 These methods from this book might be used by you to convert a smaller engine on a generator or such. The possibilities of what all you readers want to do is endless so I put together the best reference and instructional books on the subject. 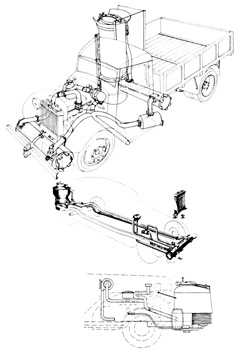 This book also has the LAYOUT of the different components you would want to use on the vehicle. This book is excellent in that respect. What it is and where it goes on this type of vehicle, and that type of vehicle, on the car, on the big truck etc..
252 Pages. Full Size 8.5x11" Book. This is not a small book. If you can only buy ONE book, then THIS IS THE ONE you want to purchase. This is the most hands on book there is in the ENTIRE collection. This is for the guy who knows NOTHING and wants it all explained to him. This book was written in 1989 in case of a FUEL EMERGENCY in the USA. It is designed 100% for a farmer to make a hydrogen generator to run his tractors, cars, trucks and other vehicles with everything that he has on the farm. There is NOT even any welding in the book. It advises to braze some parts, but no welding. You can braze with "MAP GAS" and brazing rods. ALL of which is at Home Depot, Lowes or any good hardware store.... and its NOT expensive. $20 to $40. Everything in the whole use can be found on the farm. SEE PHOTOS BELOW. THIS BOOK and your car or motorcycle will keep you driving when Iran gets nuked and the middle east goes into turmoil and the oil stops. The book not only contains EXPLODED views of all of the parts and how they go together, with very detailed labels and descriptions, but it has PHOTOS of each and every single little part in the whole thing. It not only shows you the part, it shows you how to make the part. This is DETAILED. LOOK at these photos, I know the resolution is low on this ad, but they are VERY HIGH and clear in the book. The hydrogen generator is made from a metal drum and a metal trash can on the outside ( still can buy them...especially at Lowes). 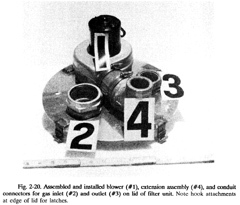 The right photo is from the inside of the reactor. Its sheet metal ( you can cut it with tin snips and rivit it) and on the bottom is a stainless steel salad bowel. I got mine at BIG LOTS for $4.00 . NO KIDDING. I made this unit. What you see on the bottom ofthe stainless steel salad bowl is about 50 holes drilled with a 1/2" drill bit. The salad bowl hands from the stop by simple metal chains. Available at any hardware store. Here is farmer Bob filling up his hydrogen producer generator with a bag of biomass to run the tractor. 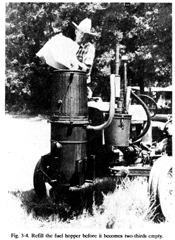 He could be putting wood chips in, corn cobs, corn itself, cut beats, dried / cut potatoes, saw dust cubes, charcoal etc... and he'll run his tractor, car, truck and electrical generator off it. VOLUME 4 in the book that is 3 & 4 Combined. 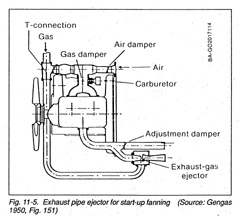 Is the Handbook of Biomass Gasifier Engine Systems. Or as some of my friends in the biomass field call it, "The New Testament"
This is the new Bible on the subject of biomass gasification for the production of Hydrogen. I combined volumes 3 and 4 together because volume 3 ( above) is so blatantly simple and easy with 100% hands on. Volume 4 is so blatantly TECHNICAL and DETAILED. 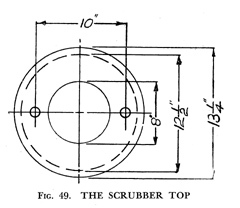 ANY QUESTION you'd ask in Volume 3, such as, " Why are the holes this size and why is the center part 6" for this sized engine" is complete answered in Volume 4. In fact if you want to take the Volume 3 design and adapt it for a 500HP engine... it has the the details and the figures and calculations ( and tables) you need to know how many air openings, what size for the center reaction and reduction zones as well as the throat opening and every single method of gas cleanup you could want to know about that is old and modern. This simple little description and the photos do NOT do this treasure of a book justice. If you know us at KnowledgePublications.com then you'll know that this is one quality book. I just don't have the time at this moment to write 5 ads before I release the books, and each ad can take 2 days. Producer Gas for Motor Vehicles. What you ask.. is so wonderful about this book. Like its Australian cousin above ( volume 2) this book has wonderfully detailed black and white drawings that make the concept SO clear. It has excellent photos in it and with this book you could 100% convert a vehicle to run on hydrogen gas from the generator running on biomass....but... this book is almost 100% focused on using CHARCOAL as the fuel rather than wood chips or wood or other biomass. It describes how to make the charcoal in an emergency and on a larger scale and the explicit details on its use as a motor fuel. There are disadvantages and advantages that it addresses right away. All of these books compliment each other so very well. First 50 people get the 8.5x11" Classroom Edition. Book is normally the standard 5.5"x8.5"
1st 50 People get the 8.5"x11" CLASSROOM EDITION. This is the old, beautifully illustrated book on HOW TO DO IT LARGE. 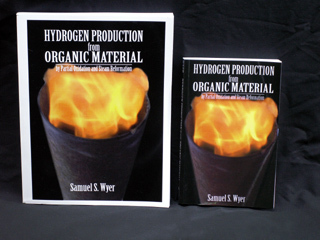 This is THE book that covers how to make hydrogen from organic material on a LARGE SCALE. 50 feet, 100 feet tall. ( can be smaller as well). It covers the designs and details on how the unit would work to provide gas to fire a kiln for making BRICKS, glass, boilers and other large scale industrial power needs. 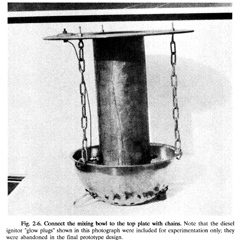 It is amazing that this book BLASTS the methods of just burning coal to make steam to turn a steam engine to make power. Back in the day there was REAL POLLUTION. BLACK BLACK BLACK soot coming from all of the power and the industrial facilities. Black particles falling all over the place. 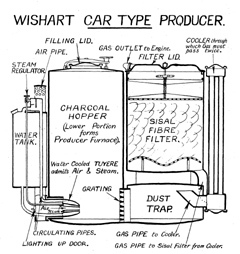 Taking the same coal or coke or wood and running it through a gasifier is not ONLY MORE EFFICIENT ( save money save fuel) but because the gas product ( essentially the chimney) is connected directly to an internal combustion engine. The only exhaust from the engine is basically water vapor and carbon dioxide and thus there is no particulates pollution and soot and grime coming out of the 'smoke stack'. 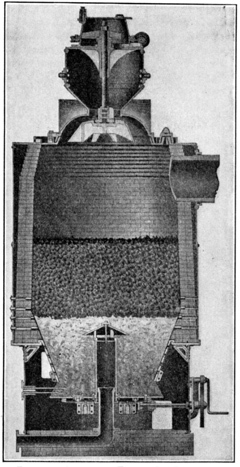 Since the engine creates its own draft there does not need to be a 'smoke stack' which was made very tall so it would naturally draft the coal burning under the boiler. For the man who was just on CNBC who has the biomass business, who I talked to on the phone, who asked me if it was possible to make hydrogen from biomass waste, this IS the book that gets you started and going. If you have a friend who has a big glass shop ( a hot shop) or someone who needs to FIRE bricks or tiles or ceramics on a large scale then this book, along with some of the ones above, will get you off the mark and allow you to make better and cleaner and hotter heat for your kiln from free biomass and waste then you can get from natural gas or propane. 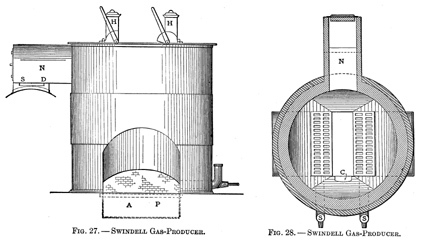 It is documented in one of the above books ( volume 4) that a man was using two pounds of soft wood chips in a gasifier to run his small brass foundry. He'd use TWO pounds of wood chips for each POUND of brass he melted and could pour. Unlike many books of this vintage, this one has BEAUTIFUL black and white art that rivals photographs of the real thing. You not only see the drawings, but you get to see what the finished item really looks like. For the HOME person doing development or experiments this book has some really great stuff in it that applies to all of the smaller stuff I have above. For example, one of the key things you might want to do for making the unit more efficient is you want to recover your waste heat. 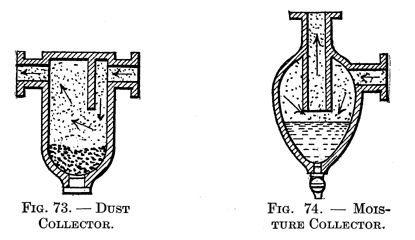 Maybe you want this for making steam or for heating something or for making ice from the waste heat... instead of using modern and expensive tube in tube heat exchangers...this book shows how it was done in the old days with just bricks. See Illustration A to the left. Tons of little treasures in this book for the novice or for the professional. For the home person or for the industry person. 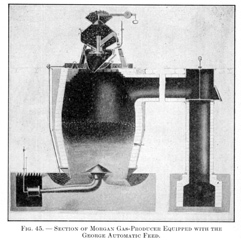 The book contains many many charts and details on the production of the gas and what it is made of. How much Hydrogen, Carbon Monoxide ( great fuel ) and how much CO2 is made at different temperatures and from different fuels. 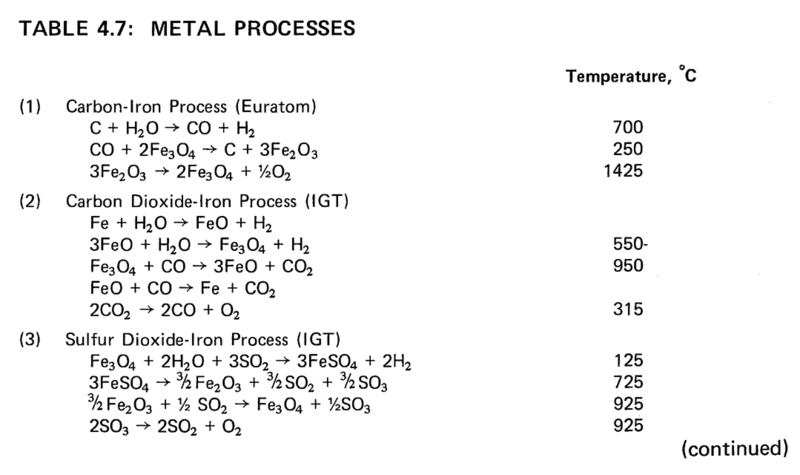 What type of coal, or coke or wood or charcoal or etc... it lists the figures so you can make an intelligent decision on which method you want to use based on what you have available to you. There are lots of wonderful simple little designs for everything you need in here. Especially dust and particle collectors. Some of these might work better for you over the ones in the other books. I don't know what you want to do..but..with this set of books you have everything. WHY is this special here like this? and available for individual purchase, yet I still have you guys banging down my email asking me when the new books are available. and we'll ship them out RIGHT AWAY first thing in the week. Everyone else has to wait. PURCHASE HERE. PURCHASE HERE. PURCHASE HERE. Save $15.69 (in combo) + Save $24.95(free bio book) + Save $24.95(free farm book) +$10+$10+$10 ( in future we'll charge extra for each classroom size book) = Save $95.69 ! When the link says OUT OF STOCK you must purchase with the LINK BELOW. Save $15.69 (in combo) + Save $24.95(free bio book) + Save $24.95(free farm book) = Save $65.69 ! Option 3. UPGRADE ANY AND ALL CUSTOMERS. 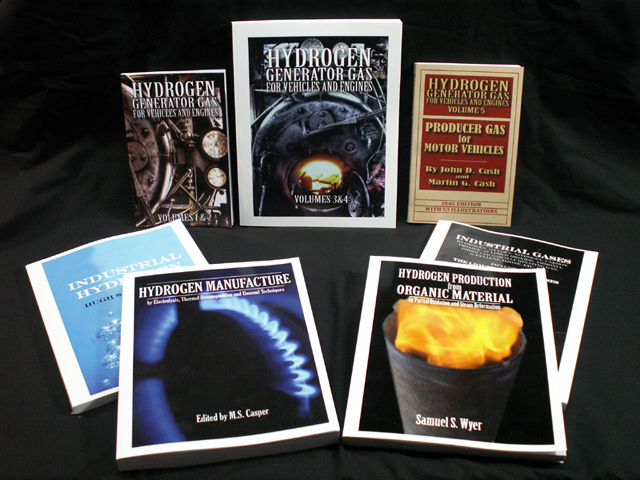 - JUST the 5 NEW Hydrogen Books ( normal size). (NOT Industrial H2, NOT Industrial Gases).+ the FREE books below. You DO NOT need to click on anything else other 1 of the 3 above links. CANADIAN CUSTOMERS Extra $40 shipping and insurance. After you select 1. or 2. or 3. above - You MUST CLICK HERE to ADD TO CART the extra shipping to Canada. These books are HEAVY and it is expensive to ship. They will be marked "EDUCATIONAL MATERIAL"
ALL INTERNATIONAL CUSTOMERS ( NOT Canada and NOT USA Customers) Extra $80 shipping and insurance. After you select 1. or 2. or 3. above -You MUST CLICK HERE to ADD TO CART the extra shipping to your country. These books are HEAVY and it is expensive to ship. They will be marked "EDUCATIONAL MATERIAL" so customs does not charge you. In most countries. ONLY with the above specials - Limited Time - Like all of our specials, they EXPIRE. 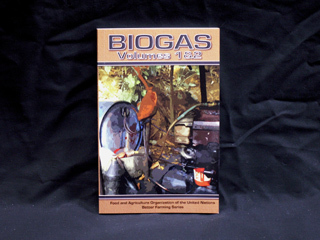 This is the step by step HANDS ON book on how to make biogas (methane) from the anaerobic digestion of waste material. This can be doggie do do or horse or cow or pig with and without grass or straw or other biomass. If you are really good this can even be done with ground up newspaper in water with septic tank treatment added. The majority of this shows HOW TO do it with just a 55gallon drum and a 33 gallon drum. It *IS* that easy. 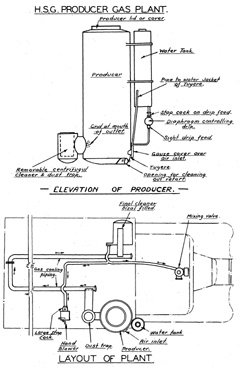 It is EASY to make enough biogas from one or two units to cook a meal or to provide gas to a mantle style lantern all night, and then some. This is EXACTLY how it has been done in China by MILLIONS of people. I mean MILLIONS !! If millions of Asians do it in Asia...don't you think you can do it in your back yard? The answer is YES YES YES it can be done anywhere. Get the book for FREE when you get one of the above deals and get it before anyone else does. It is NOT on the website yet and we won't put it up for a week or so until we have all of the Hydrogen Books available. 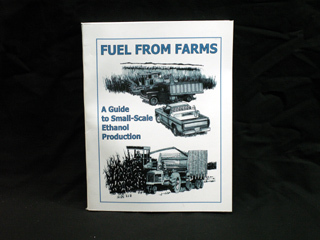 How to make ethanol on the farm, or from the farm. Intended on making farmers more energy independent. This book has the details and the methods on how to do it small, locally and economically. Get the book for FREE when you get one of the above deals and get it before anyone else does. 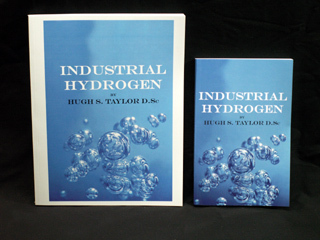 It is NOT on the website yet and we won't put it up for a week or so until we have all of the Hydrogen Books available.